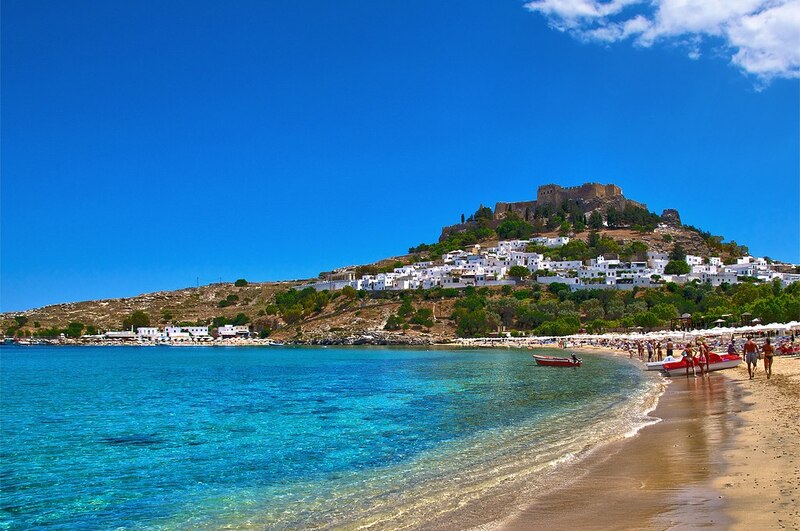 Lindos main beach can also be accessed by the sea. Daily excursion boats are departing from the port of Faliraki and Mandraki harbor in Rhodos town center. It is an Ideal place for sun bathers, wishing to spend whole day by the sea, in highly cosmopolitan surrounding. Here you can meet people from all around the world, young and older, although it is most favored by Brits and Italians. As it is a very popular beach, crowds of people are arriving every day from all around the island. For family groups or for those wishing to avoid the large crowds, a better choice is the Palace beach, at the extreme end of the beach, where the shallow waters makes it ideal for small children.